. Selvendiran K, Tong L, Bratasz A, et al. 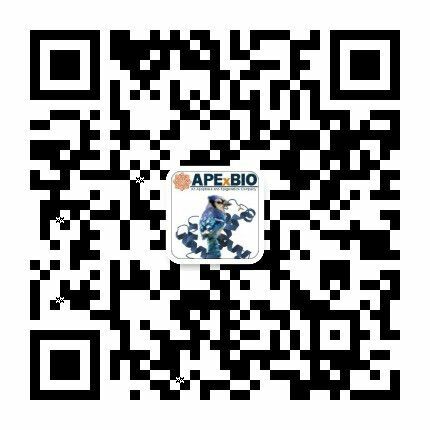 Anticancer efficacy of a difluorodiarylidenyl piperidone (HO-3867) in human ovarian cancer cells and tumor xenografts[J]. Molecular cancer therapeutics, 2010, 9(5): 1169-1179.
. Ravi Y, Selvendiran K, Naidu S K, et al. Pulmonary hypertension secondary to left-heart failure involves peroxynitrite-induced downregulation of PTEN in the lung[J]. Hypertension, 2013: HYPERTENSIONAHA. 111.00514. 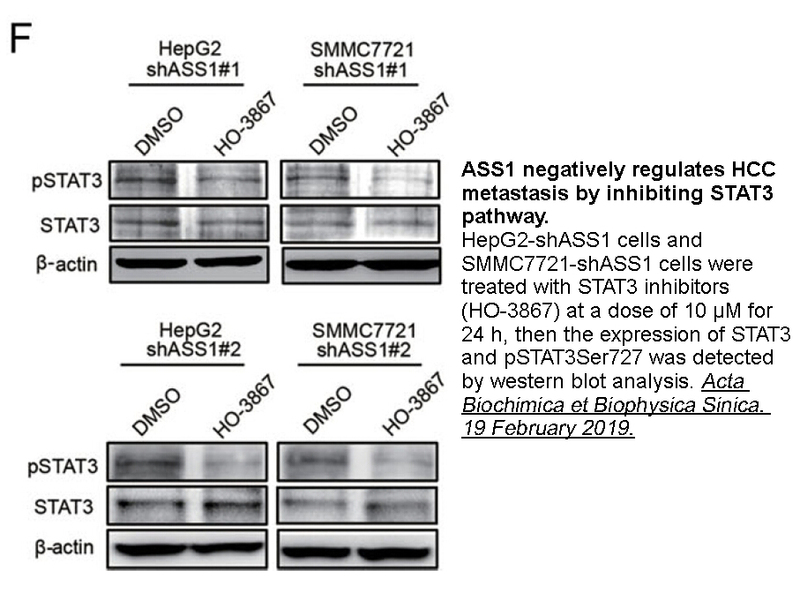 Tierney BJ, McCann GA, Cohn DE, Eisenhauer E, Sudhakar M, Kuppusamy P, Hideg K, Selvendiran K. HO-3867, a STAT3 inhibitor induces apoptosis by inactivation of STAT3 activity in BRCA1-mutated ovarian cancer cells. Cancer Biol Ther. 2012 Jul;13(9):766-75. 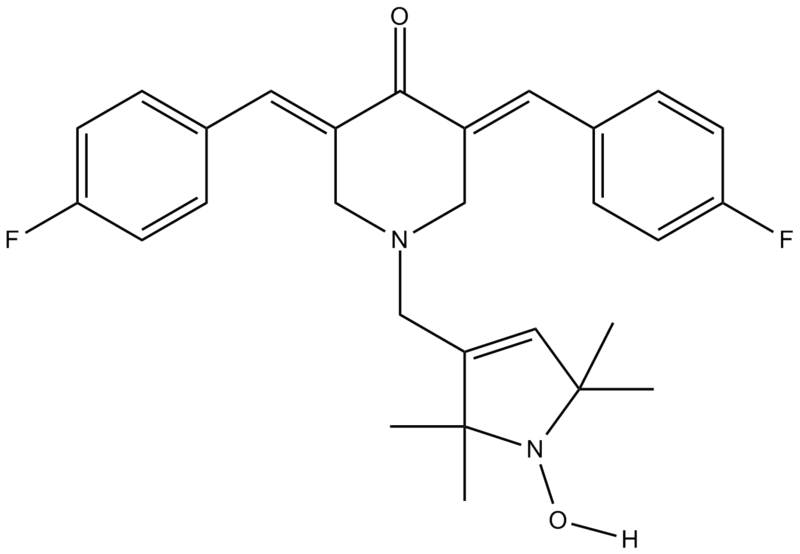 Rath KS, Naidu SK, Lata P, Bid HK, Rivera BK, McCann GA, Tierney BJ, Elnaggar AC, Bravo V, Leone G, Houghton P, Hideg K, Kuppusamy P, Cohn DE, Selvendiran K.
HO-3867, a safe STAT3 inhibitor, is selectively cytotoxic to ovarian cancer. Cancer Res. 2014 Apr 15;74(8):2316-27. Selvendiran K, Kuppusamy ML, Bratasz A, Tong L, Rivera BK, Rink C, Sen CK, Kálai T, Hideg K, Kuppusamy P. Inhibition of vascular smooth-muscle cell proliferation and arterial restenosis by HO-3867, a novel synthetic curcuminoid, through up-regulation of PTEN expression. J Pharmacol Exp Ther. 2009 Jun;329(3):959-66. Tierney BJ, McCann GA, Naidu S, Rath KS, Saini U, Wanner R, Kuppusamy P,Suarez A, Goodfellow PJ, Cohn DE, Selvendiran K. Aberrantly activated pSTAT3-Ser727 in human endometrial cancer is suppressed by HO-3867, a novel STAT3 inhibitor. Gynecol Oncol. 2014 Oct;135(1):133-41. 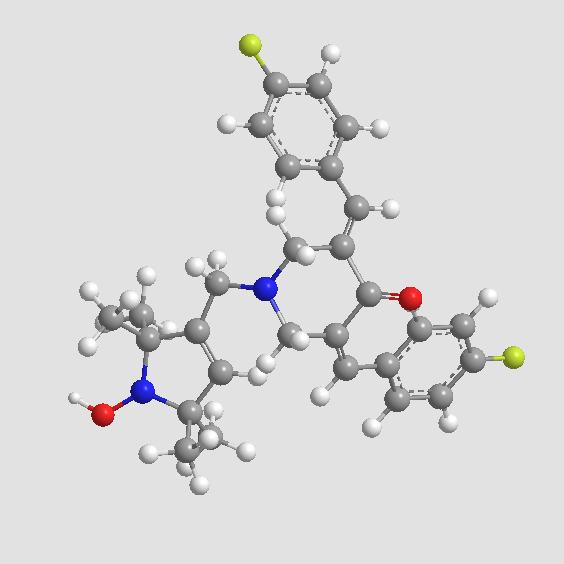 Selvendiran K, Tong L, Bratasz A, Kuppusamy ML, Ahmed S, Ravi Y, Trigg NJ, Rivera BK, Kálai T, Hideg K, Kuppusamy P. Anticancer efficacy of a difluorodiarylidenyl piperidone (HO-3867) in human ovarian cancer cells and tumor xenografts. Mol Cancer Ther. 2010 May;9(5):1169-79.